This vegan mozzarella is divine! It’s stretchy, melty and perfect on pizza! It’s also so easy to make you will hardly believe it. 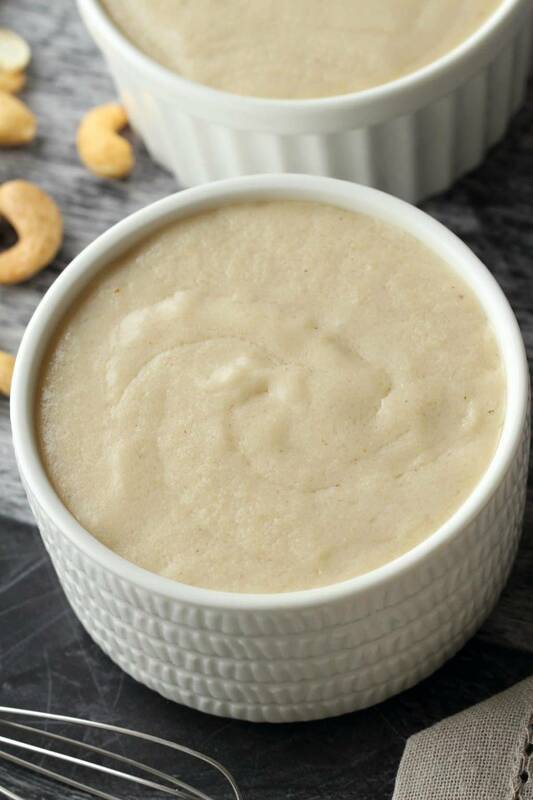 And all you need is some easy ingredients like cashews, lemon juice, garlic powder, maple syrup, nutritional yeast, agar agar powder, tapioca starch, tahini and coconut oil! 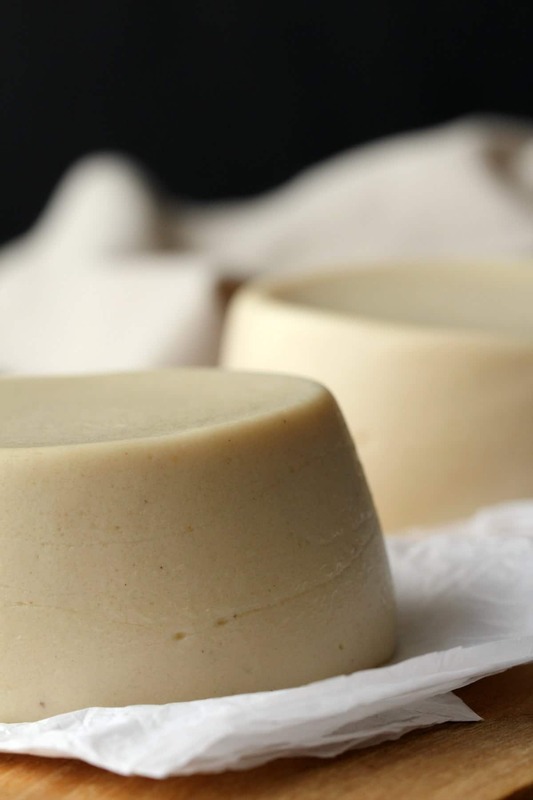 Okay, granted, agar agar powder isn’t your ‘average’ ingredient, but it’s a must when it comes to making your own vegan cheese (and making some vegan jello too!) so from now on, keep it as a pantry staple. Tapioca starch provides all that stretchiness that you must have with mozzarella, and that’s usually an easy ingredient to get hold of. I have made this vegan mozzarella with both extra virgin coconut oil (has all the coconut flavor) and refined coconut oil (neutral flavored) and refined coconut oil is preferable. Refined coconut oil really lets this taste like mozzarella! Extra virgin coconut oil results in a strong coconut flavor coming through. It’s definitely not unpleasant, especially if you do like the taste of coconut, but it does interfere a bit. 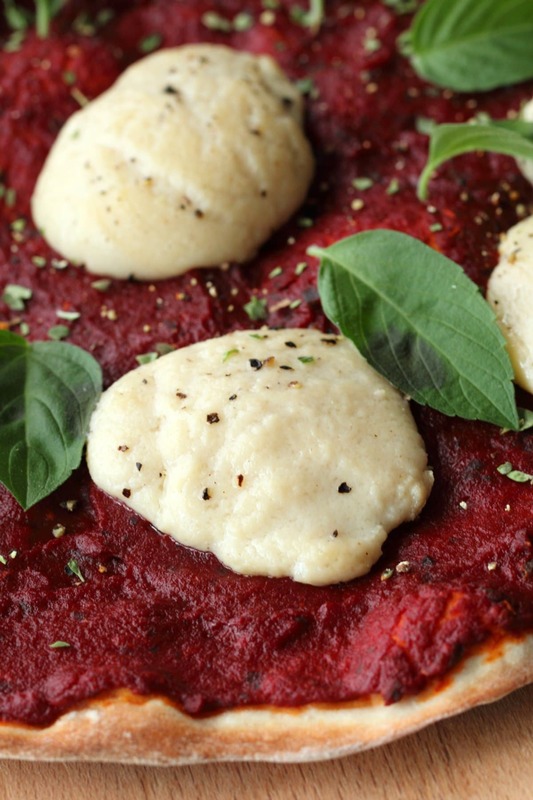 To make this vegan mozzarella you simply blend up all your ingredients in your blender, and then pour out into a saucepan and bring to the boil, stirring constantly. Once it’s bubbling on the sides, keep stirring for a full 2 minutes. Then remove from the heat and pour out into ramekins. 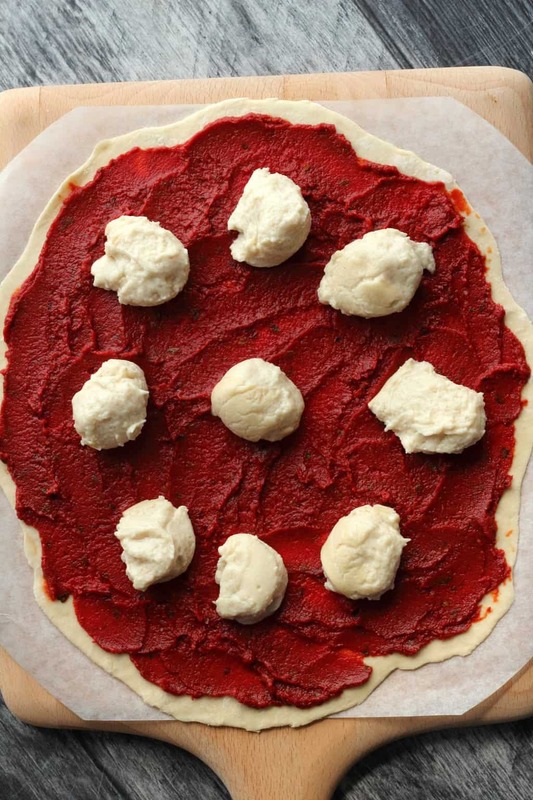 At this stage you have vegan mozzarella that is ready to use! 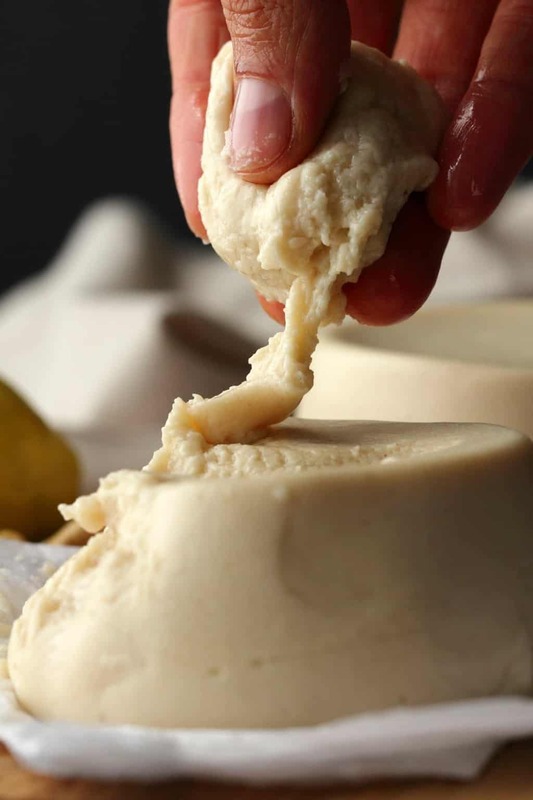 You can pop them out of the ramekins and break the mozzarella up into balls or you can leave it in the ramekins and use an ice cream scoop to scoop out perfect balls of mozzarella. The longer you leave the mozzarella in the fridge, the firmer it gets. 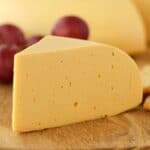 This isn’t the type of cheese you will slice, even after it’s been in the fridge a few days and firmed up a lot. It’s always going to stay a soft cheese that you will break off into mozzarella balls or spread out onto a sandwich. 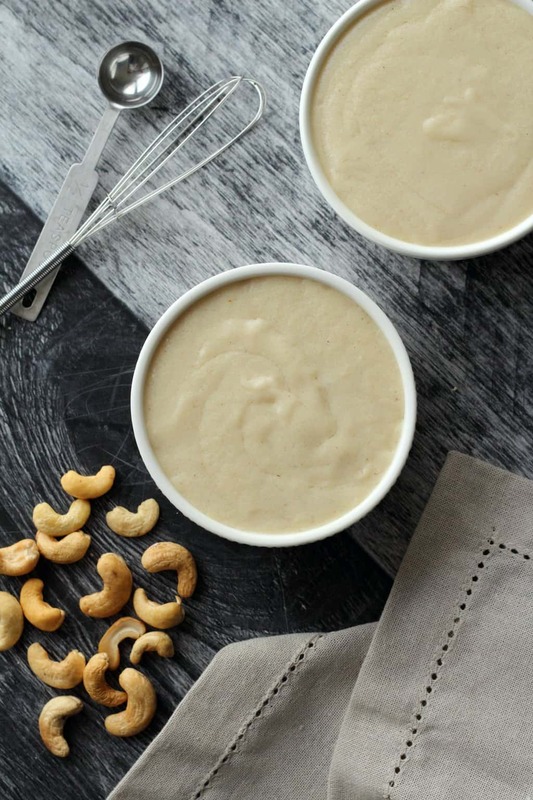 You don’t need to soak the cashews first for this. I tried a version where I soaked the cashews for 15 minutes in boiling water and a version where I didn’t soak them at all. I didn’t notice any difference at all. 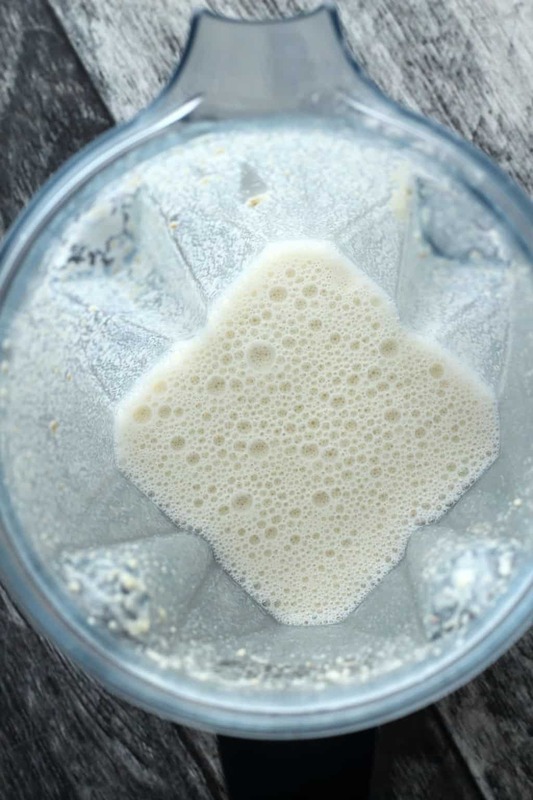 Considering that you blend this with a lot of water, the kind of blender that you’re using, whether it’s a strong model or a weak model, won’t have an impact here, so I don’t think there is a case for soaking the cashews first and this step can be omitted. Keep it stored in the fridge and enjoy whenever you need a cheesy melty topping! We have been enjoying it on pizza of course, but also for an epic vegan grilled cheese sandwich! And what about that pizza…. 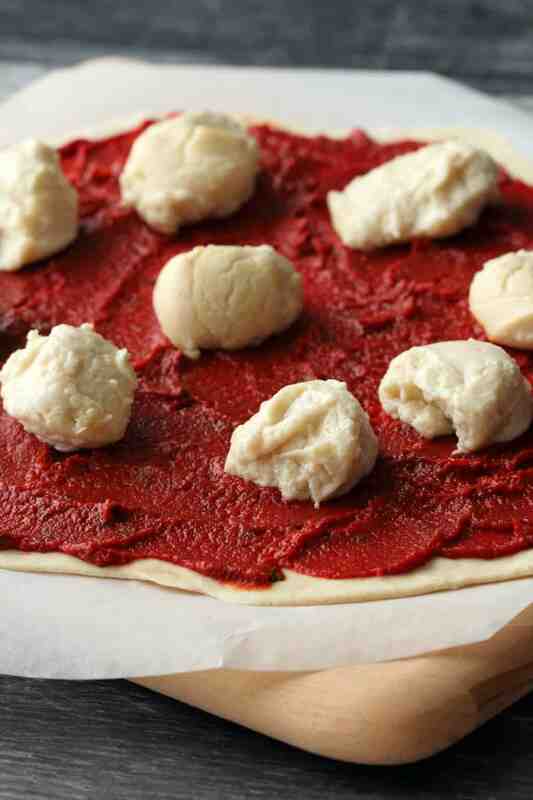 The homemade pizza you’re seeing in these photos is very worthwhile to know more about! It’s our vegan pizza recipe. This mozzarella is wonderful served all nice and melted on top of it, and it’s a thin-crust beauty that you will totally enjoy making from scratch. 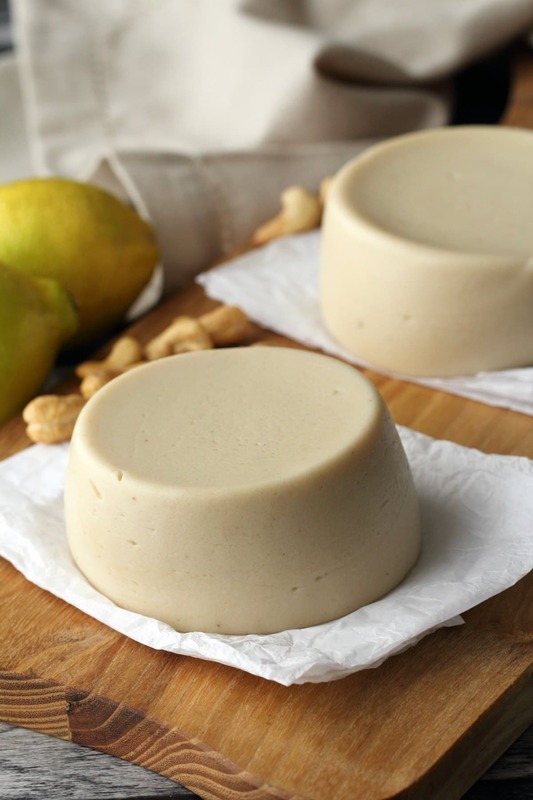 Our sliceable cashew cheese is a hard cheese that you can slice, grate and melt! It’s a massive hit with everyone who has tried it. 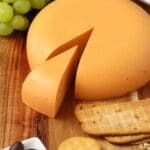 Our vegan cheddar cheese is also a hard sliceable cheese and perfect for a vegan cheese board. 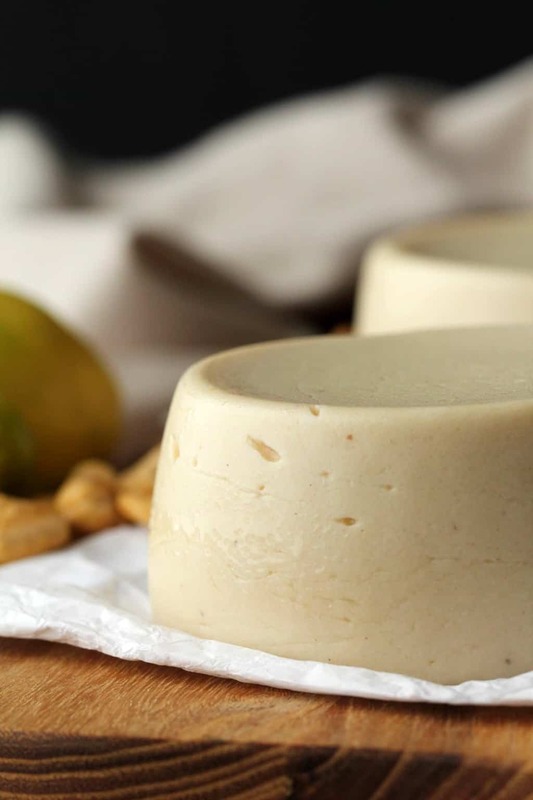 Our vegan cream cheese is perfect on crackers or bagels or breads and our vegan ricotta is also divine on pizza or baked into a vegan lasagna or spread on crackers. 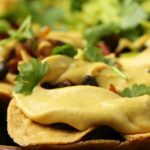 Our vegan nacho cheese is the best thing you can spread over your nachos and our vegan queso makes the best dip. And then vegan parmesan cheese is great sprinkled over pretty much anything. 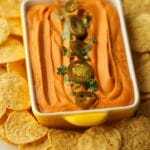 Our vegan cheese sauce is nut free and makes a wonderful lasagna sauce or poured over veggies and our vegan cashew cheese sauce is exactly what you want drizzled over pizza or on a baked potato. 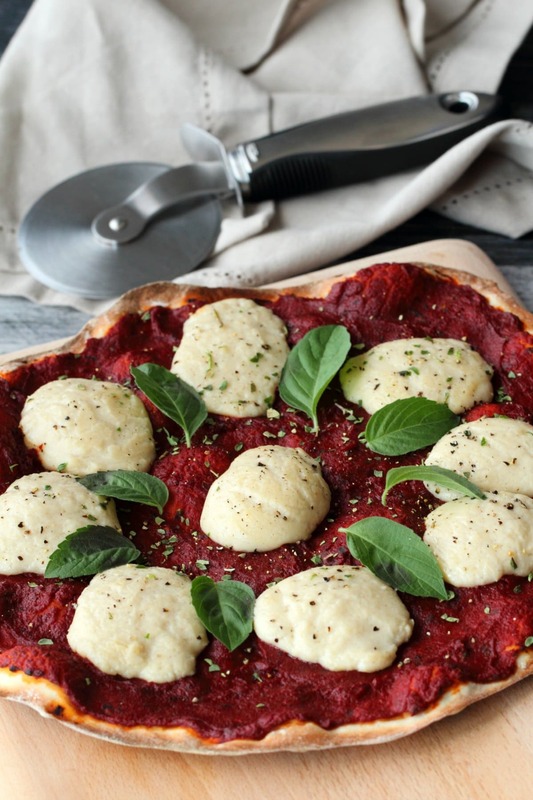 So let us know what you think of this vegan mozzarella! Leave us a comment and rate the recipe too! Thank you! While you’re here, sign up for our email list! 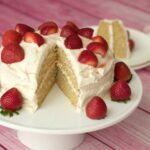 You’ll get an awesome free recipe ebook with 10 great recipes as a welcome gift and you’ll stay updated with all our latest recipes posted to the blog! 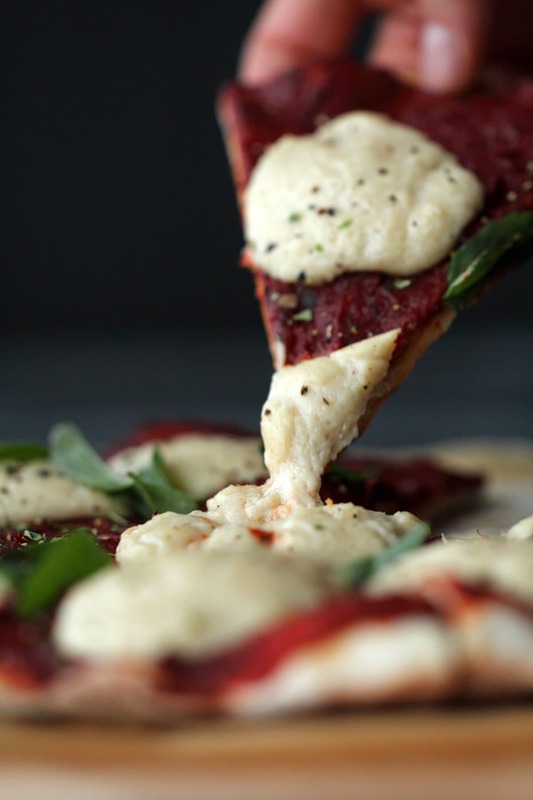 Stretchy melty and so cheesy you won’t believe you made it yourself vegan mozzarella! Super easy, divine on pizza and inside grilled cheese sandwiches and wherever else gorgeous gooey mozzarella balls are needed! Then pour out into a saucepan and bring to the boil, stirring constantly. It will start to thicken and clump together, just stir very vigorously and it will smooth out. As soon as it starts to bubble along the sides, set your timer for 2 minutes and keep stirring, after the 2 minutes has timed out, remove from the heat, pour it out into two ramekins sprayed with non-stick spray. Place them into the fridge for at least 1 hour to set. At this stage you have mozzarella cheese that is ready to be used! 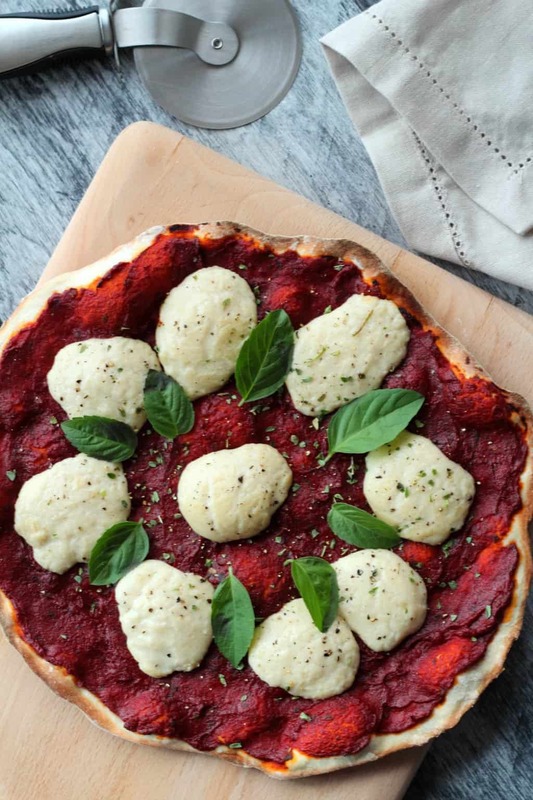 Use an ice cream scoop to scoop mozzarella balls to use on pizza! 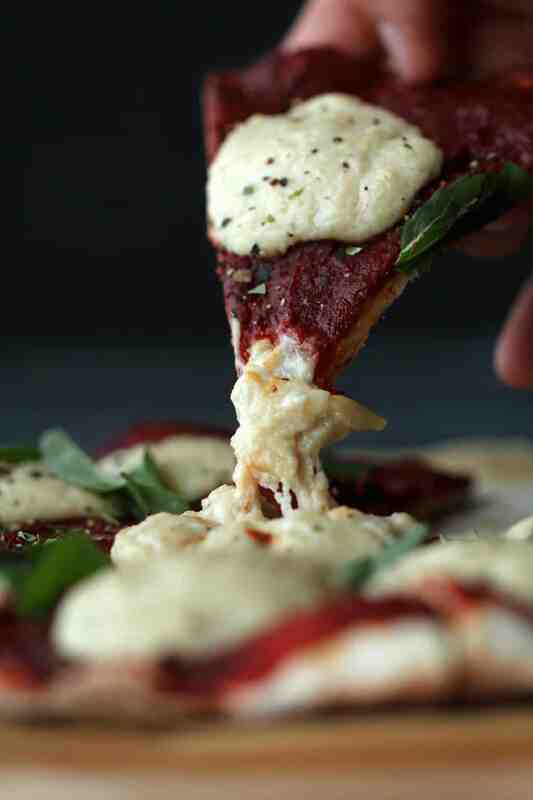 The longer the vegan mozzarella stays in the fridge the firmer it will get, but it will still remain a soft cheese. 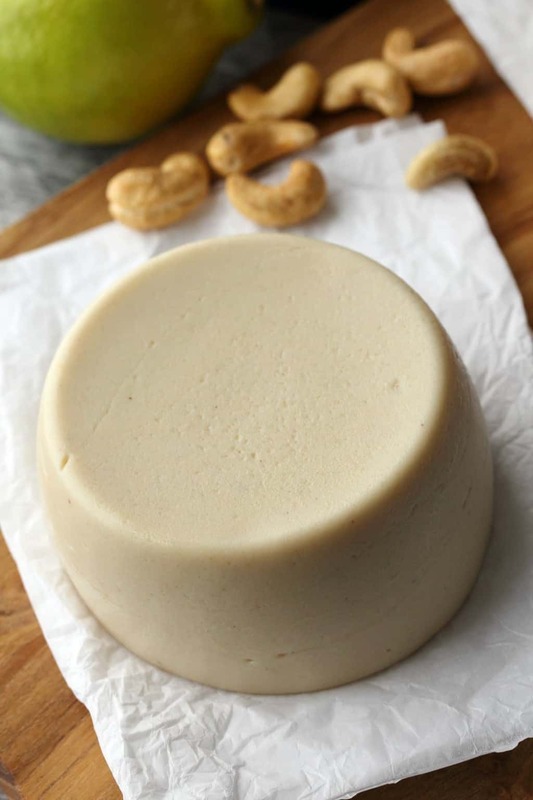 *I tried a version with soaked cashews (soaked in boiling water for 15 minutes) and a version where they were not soaked and there was no difference that I could tell, so I do not see a reason to soak the cashews here. 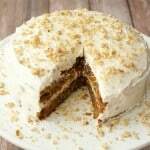 *Refined coconut oil is a better choice here as it is neutral in taste so the end result doesn’t have a coconut flavor. However, I have tried a version using extra virgin coconut oil, and it’s still very tasty but it definitely does result in a coconut flavored cheese. If you prefer to use extra virgin coconut oil, you can go ahead, but just know that your end result is going to be coconut flavored. Hi – I can’t wait to try this. Can you substitute agar agar with Carageenan powder by chance? Thanks! Hoping this one turns out as melty and stretchy as it looks – all others have fallen short! Hi Kristen, I have actually never used carageenan powder, sorry no experience there at all! Was just having a quick look on google and I see it is sometimes used as a substitute for agar but I have literally never used it so really just can’t be sure how it might affect the result. Can I omit the oil? Hi Ellie, the oil is a crucial ingredient in this recipe so can’t be omitted. Just found your site, recipes look amazing. My problem is my husband has a heart condition and is not allowed coconut oil, can I use any oil, I have in my store extra virgin olive oil, rapeseed oil and avocado oil. Hi Carole, unfortunately I don’t think any other oil would work, coconut oil is unique in the way that it sets when cooled and melts when heated. 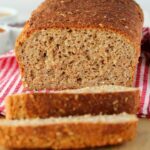 This particular recipe really relies on the coconut oil a lot so unfortunately it wouldn’t work to substitute it. If you’re looking for a cheese to use on pizza, our cashew cheese sauce doesn’t use any coconut oil, it’s not a melty cheese, but if you drizzle it on your pizza afterwards it’s totally divine! All the best! I dont have agar agar. Can I use anything else? I do have arrow root Powder. Hi Heather, I don’t think so, I don’t really know arrow root, but I believe it’s a thickener, more like cornstarch, agar is more like gelatin. So I don’t think they can be substituted for each other. However, this mozzarella doesn’t set completely, so maybe it would be okay? I honestly don’t know! Sorry I can’t be more help. Hi, I made this recipe today & it is delicious! I used half cashews & half sunflower seeds to keep costs down. I also used agave nectar instead of maple syrup & peanut butter instead of tahini. I also subbed sunflower oil instead of coconut oil & it all worked perfectly & tastes delicious – can’t wait for pizza tonight! This was everything and more!! It was easy and fun to make.. my entire family was amazed at the results.. I’ve had many trial and fails along the way but this is a keeper!! Finally PIZZA again!!! Thanks for sharing! I can’t have tapioca….is there a substitute for that? I haven’t tried it with any of these substitutes so it would be an experiment, but here’s a few tapioca substitutes. 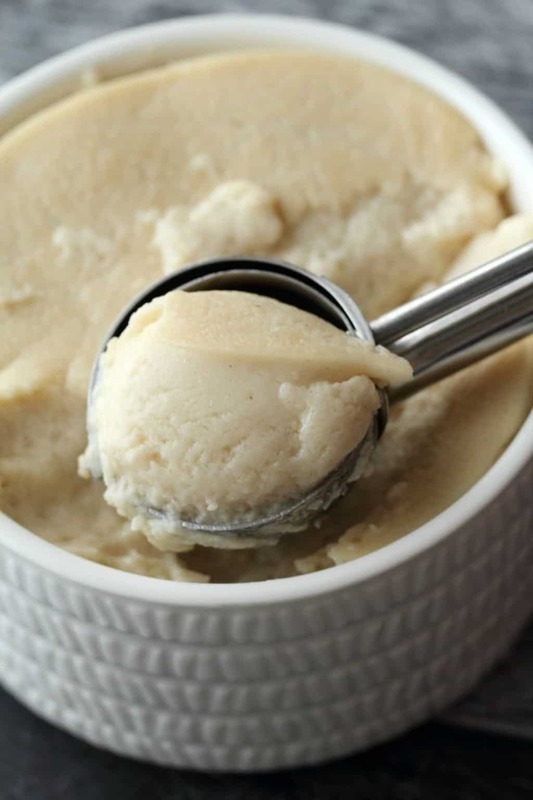 Could I substitute miyokos cultured butter for the oil instead of refined coconut oil? I really don’t know, it would depend on the ingredients in the butter, I have no idea how that might affect how the recipe turns out. This cheese is spot on, just made it for a pizza and it was perfect. I also made a batch of the onion sauté from your potato salad recipe and had that on top of some sauce and Tempeh bacon.. I’m in heaven. Thanks again your recipes never cease to amaze me. can this be frozen and used at a later time? 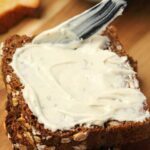 I have not made this recipe yet and since I have never heard of, or used Tahini, I want to make sure that I use the right one. The one in your recipe leads to a broken link. My question is what kind do you suggest? Are they all liquid? HELP!! Hi Liz, thanks for pointing out the broken link, it has been updated! 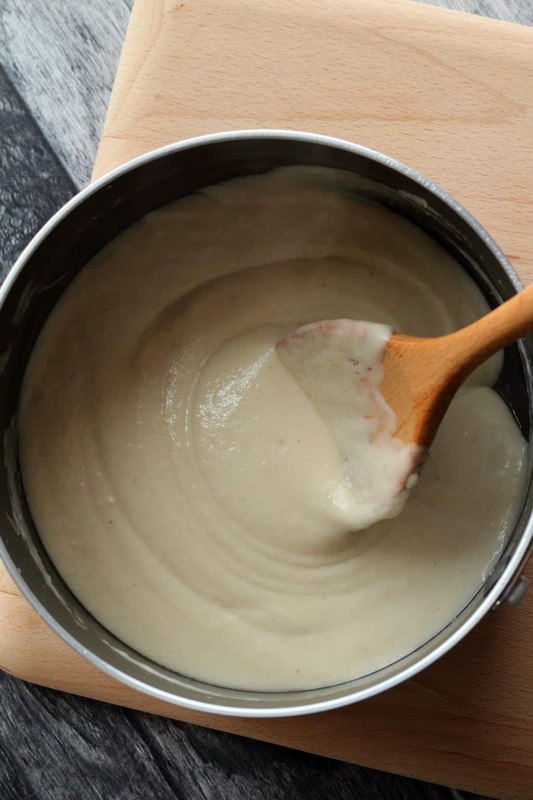 Tahini is a seed butter made from sesame seeds. You can get it from most supermarkets, it’s usually easy to find. The texture is like any nut or seed butter, so basically if you think of peanut butter or almond butter it is similar to that. Also, do you use raw cashews? Love this recipe;-). How long does it keep in the fridge? Can I freeze it. 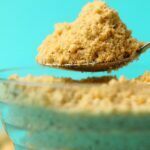 Can cashew flour be used instead of whole cashews being ground? and if so, how much? Hi Rosa, I am really not sure. I haven’t used cashew flour so I’m not sure how it might change things.